Most guests spend approximately 4-9 hours at the museum. Prepare for a world of terror and fright as you enter the Branson Haunted House and Monster Asylum. You'll feel the hair on the back of your neck stand up as you enter, just try to contain your screams of fright. Enter into a world caught somewhere between midnight and dawn, where terror never ends. State of the art automatons provide spine tingling fright, while modern construction has provided realistic monsters that will have you running in fear. Ghosts, goblins and other frightful constructs of nightmares provide you with the adrenaline rush that only comes from being afraid. Darkened hallways, creepy sound effects and the eerie lighting fill the haunted house. From the start, you'll feel the tension building as you make your way slowly through. By the time the trip is over, you'll be terrified for days. 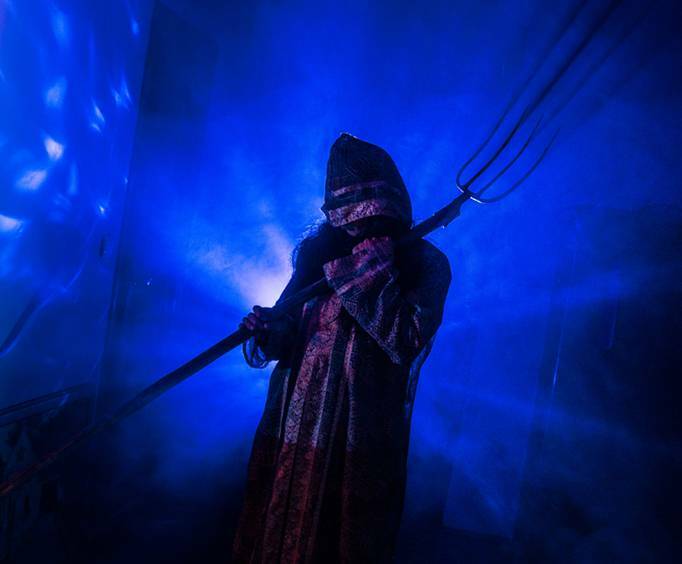 The Haunted House and Dinosaur Museum Combo provide a double dose of frightful views ranging from things that go bump in the dark to prehistoric predators. At the Dinosaur Museum you'll see life-size replicas of all your favorite dinosaurs. There are sand digs for the kids and a high-definition informational video for you to view. Combine education and spooky scares with the Haunted House and Dinosaur Museum Combo. "Wow is all i can say." Wow is all i can say. Much better than i expected. I'm pretty hard to scare but they did it. Also great detail throughout.